As a multicultural city, Hong Kong has many different cuisines and styles of food on offer, everywhere you go! Whether you want some of your home comforts or you want to try something completely new, this city lets you eat around the world without having to step foot onto a plane. 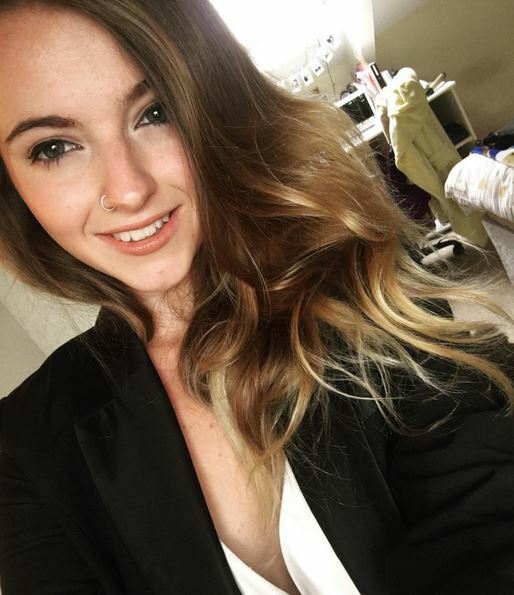 As Mexican food is one of my favourite cuisines, I thought I’d kick off this food series with a bit of a heat wave! 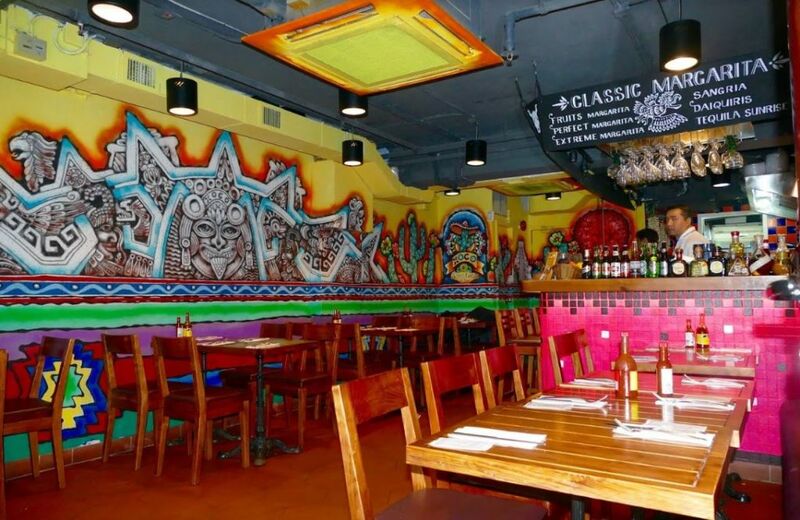 Tucked among the buildings at the top of the escalators, you can find the brightly coloured XOCO restaurant. With such an extensive choice of all things Mexican, it’ll take you weeks to eat through this menu! From soups and salads to the better-known Mexican dishes such as burritos and nachos there is something for everyone. Of course, no Mexican restaurant is complete without a stacked bar of tequila as well. Mexican food is not known to be the healthiest of food choices as they can be loaded with cheese and carbs. 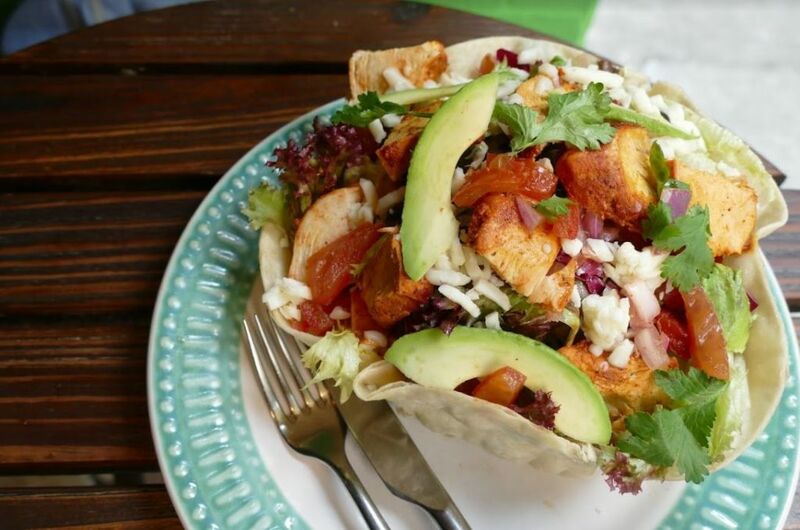 But there are some delicious and light choices that will give you an authentic Mexican flavour without the guilt, such as the Taco Salad, which contained spiced chicken, avocado and a sprinkling of cheese, all served in a giant taco shell, which you could pick at if you fancied. As a vibrant and authentic Mexican in the heart of Wan Chai, Agave is the ideal place to start a night out. Not only is it extremely popular for their happy hour margaritas, but also their delicious menu. With unique Mexican dishes such as Antojitos and cactus for if you want to try some adventurous Mexican flavours. 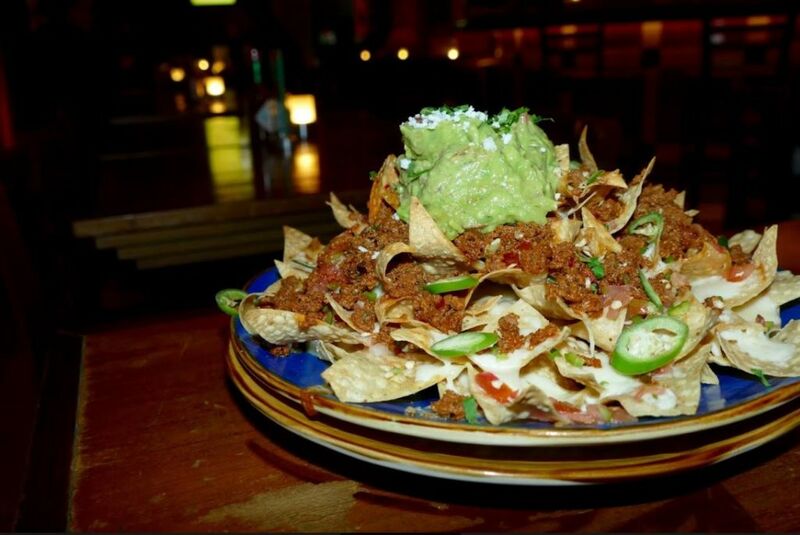 One of their speciality dishes are the nachos, which they describe as “Damn Good Nachos”. They come with a choice of two different toppings including guacamole or sour cream and with the opportunity to add meat such as beef, chorizo or chicken. The nachos are served in the shape of an Agave plant, guaranteeing that each tortilla chip is generously covered in cheese and toppings for the perfect nacho experience. For Mexican food with a modern and sophisticated twist, CENA is the perfect place to go. 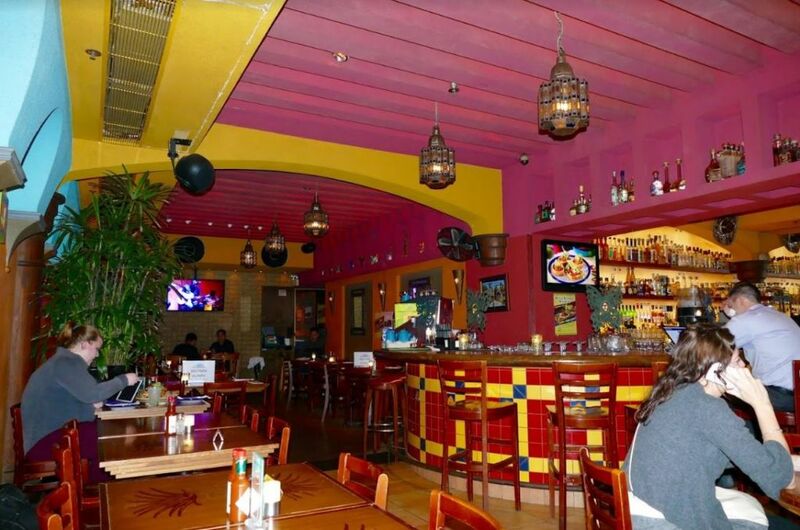 With a rustic interior and comfortable feel, you can really enjoy the food. 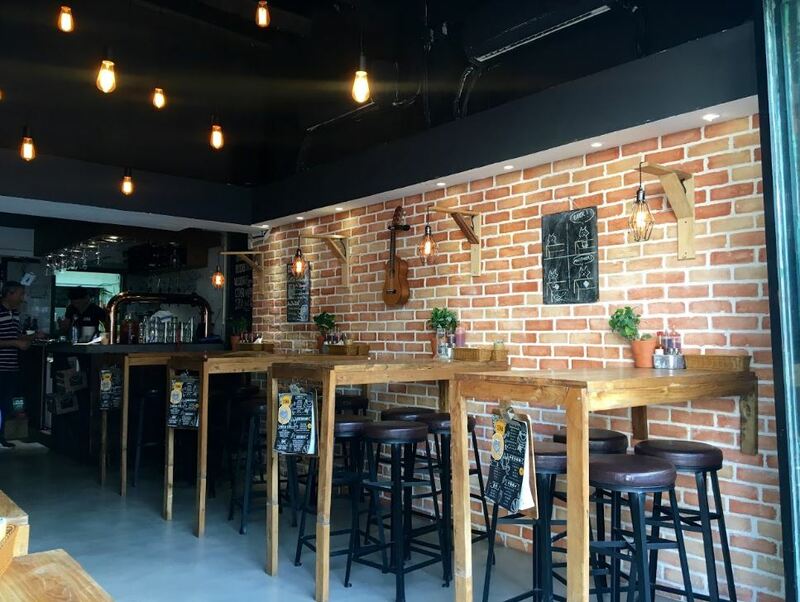 They offer your favourite Mexican dishes including soft tacos, burritos and quesadillas, but with a unique set of flavour combinations such as chicken and Kimchi or black beans and mango salsa. This revamped take on the old classics will leave you feeling refreshed and satisfied. Although Mexican food is mainly thought of as savoury, they also have a range of sweet and delicious desserts. 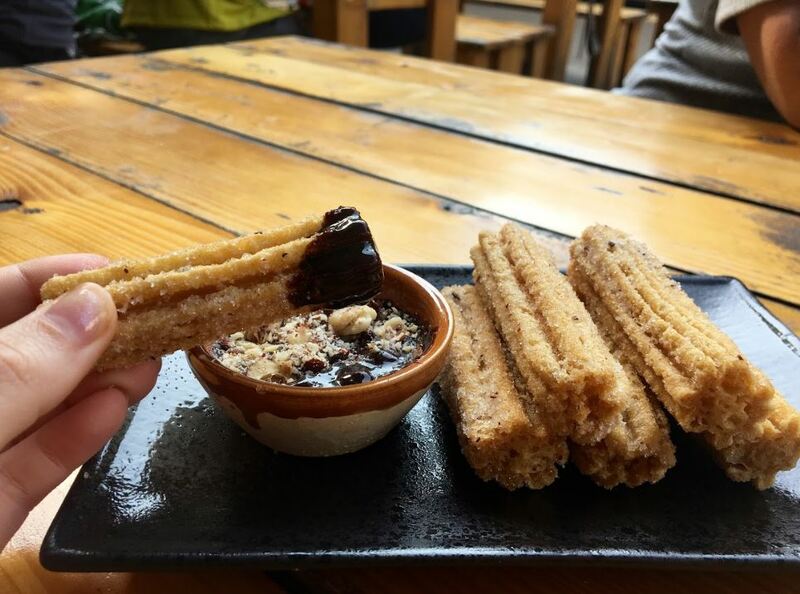 Including Churros, which are essentially doughnuts in the shape of a stick and coated in sugar. They are accompanied with a chocolate and hazelnut dip, so you can end your meal on a sweet note. Are you an explorer? No matter your style, you will find something you love on foodpanda.